You must make reservations at least 5 minutes in advance of the time at Victoria's Restaurant @ The King Edward Hotel. 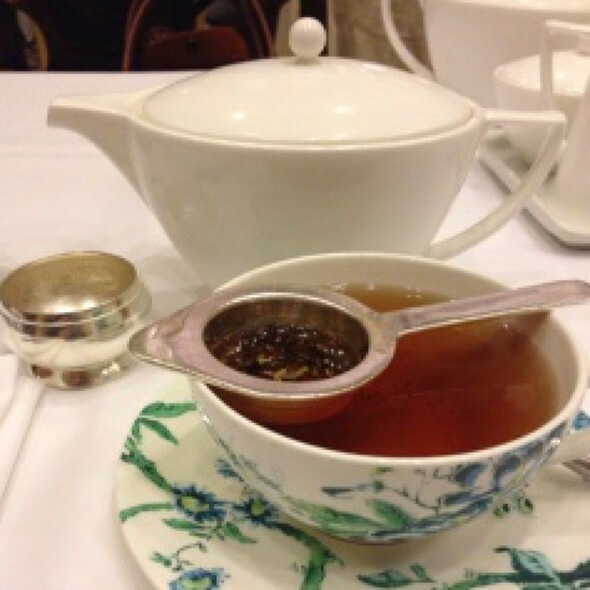 Located in one of Toronto’s most prestigious hotels, King Edward Hotel, Victoria's is a popular spot for business brunches and theatre goers alike. Executive Chef Daniel Schick has brought the guests of King Edward almost 25 years of astonishingly delicious and consistently inventive gastronomy. The Chef fuses traditional and cutting-edge contemporary in his preparations, integrating seasonal and local ingredients with classical cooking methods. Enjoy having breakfast @ Victoria’s . Hector is a great waiter . This is a fabulous place to go for meals. Staff are very friendly. Food is well prepared. I have been going there for over 15 years. It was perfection. Food was wonderful. Service was attentive. Ambience was lovely. Wouldn’t hesitate to return. I'm a fan of Afternoon Tea and I have been to many services :) The food and tea selection was fantastic, but I wouldn't call the service 5 star - they took a while to seat my party of three, and we were crammed in a small table, while there were bigger tables empty or with only two people around us. We booked the 4:30 timeslot and the service seemed extremely rushed, like they wanted us out of there ASAP. I wasn't offered a glass of bubbly or sherry with my tea (which I would have liked) and no one refilled my creamer. Pastries and savoury treats were delicious, but service quality was definitely lacking. I've had better. The scones were to die for. Delicious pastries. Wished they have had regular cucumber sandwiches. The service was very good. The staff was quick and attentive. The food was outstanding. So many complex flavors and above and beyond for a brunch for sure. The desserts we're some of the best I have had at a brunch, truly outstanding! Our experience was overall great. We were very happy with our server. He was very polite and courteous, and took his time to explain the various types of tea and food served. We also had two other employees who came and greeted us and asked us about whether we were enjoying our food. Overall, it was a great experience for us. The buffet food was cold and the service was slow. Really not worth the $60 Sunday brunch price tag. The one good thing was the free flowing mimosas for $20. This was a terrific spot for a business breakfast. The food was tasty, the croissants are some of the best in the city, and the good coffee was a very pleasant surprise. The service was fast, and very polite. I will definitely come back and recommend to my colleagues. An accessible expression of opulence, this resto not only provides the frills that you'd desire, but do so with such lovely staff that it makes returning both easy, and advised. It was our wedding anniversary celebration and the staff went out of their way to make it very special for us. We have been for the Sunday brunch several times and have never been disappointed. We came here for Afternoon Tea on Mother's day and was pretty disappointed by the experience. The food was not particularly exceptional; only average. We took the desserts home and 2 days later, still hadn't finished eating them due to lack of interest. The service was slow. One good thing that I liked about the experience was that they used Wedgwood teaware, which was a nice touch. very bland food. very bland decor. 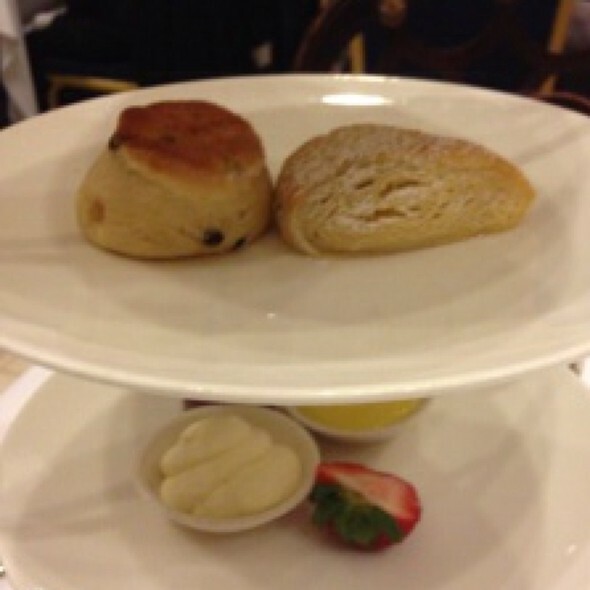 scones were best part of the meal but the rest of the food was forgettable and disappointing. 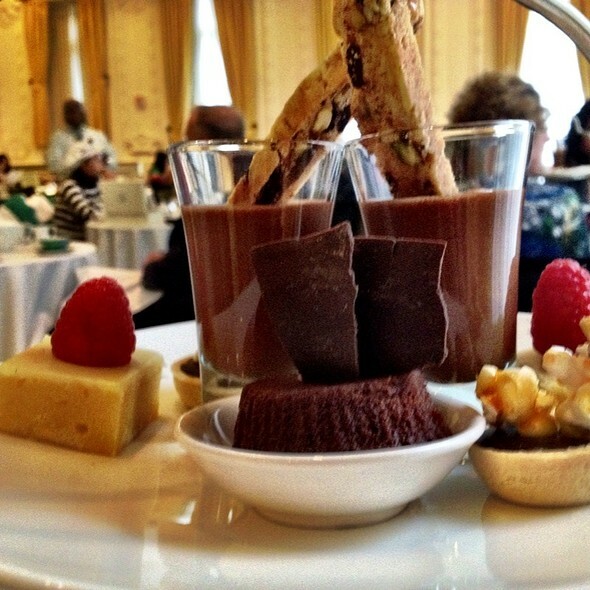 Went to OMNI Victoria's Restaurant for afternoon tea and it was an awesome experience! The staff, food (sandwiches/desserts), and the tea was delicious. Attention to detail by their staff; management, service, and chefs are second to none. Definitely an experience you must try and will most likely repeat. Fantastic food and service. Breakfast Brunch was excellent. the waiter is nice. But there is no one care about us after the server finished his shift. We asked to add hot water for three times, finally we got someone to add water for us. Overall, there is a quite nice place to get together with friends. My friend and I loved it! It was a very disappointing experience. The sandwiches were very dry and the scones were not served warm. The clottted cream was cold. The noise level was loud, ambience was not great. I organised this from England for my daughter and her husband to celebrate their first wedding anniversary. I arranged with the managements to pay for this on my card in advance they were made very welcome and had a most enjoyable afternoon tea. We made reservations in advance and arrived on time. ( we were staying at the hotel celebrating our son and daughter in laws anniversary - they had been married at the hotel last year. We had treated our friends to breakfast after the wedding at this restaurant and remembered it to be decent if not rather aloof in its ambiance and service) We were seated promptly but then, we were ignored for at least 15 minutes. Eventually... my husband got up and spoke to the manager. Our server - eventually - came to the table - he was polite and efficient. We ordered a la carte from the menu rather than the overpriced buffet. It was a decent experience overall, but not worth repeating. Not worth the price, mediocre experience. We celebrated my birthday. 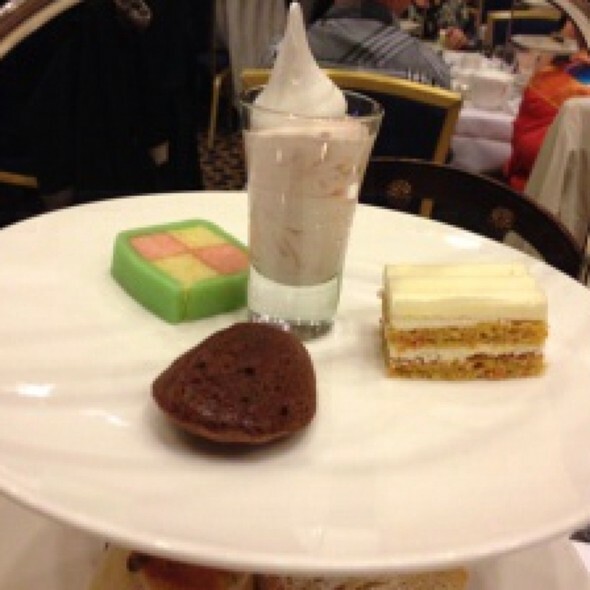 I had the Chocolate Tea experience, but requested the vegetarian option for the savories. Omg! I LOVED LOVED LOVED the savories!!! If I could order seconds of that plate I would. As wonderful as the sweets were, my friends and I were REALLY enjoying the savories. We couldn’t stop talking about them whole time. For the cost of the afternoon tea, a plate of 5 TINY sandwiches, a tiny shotglass of soup and a few sweets, not worth it the cost. The scones were cold, not even warm. I can't recommend anyone going for the afternoon tea. No value for the $49.00 per person. Service was fantastic but the ambience is lacklustre. No music was playing. And there are no windows so they need to fill the white walls with colour, photos, paintings (there are beautiful paintings everywhere else in the hotel). This dining room felt like a "work in progress"
Thank you. It was great! Great service. Maybe introduce an omelette station as well. Some child/tween was at a table beside us unsupervised and was watching videos on her phone without ear buds. The noise was distracting and annoying. The server should have stopped her. Thankfully she left sooner than later. Still. King Eddy dining room as a baby sitter. What are people thinking. We went for Sunday brunch. Service was good, food was delicious and the environment was excellent. I would recommend. The service is always on point. 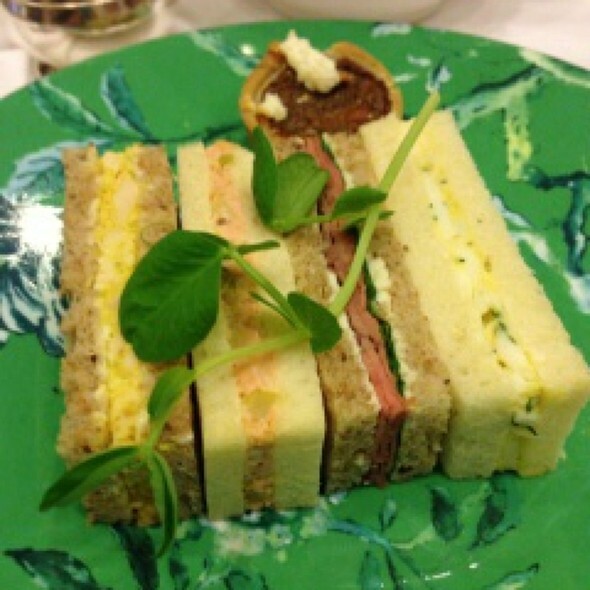 High tea fare is delicious. It is a wonderful place for friends to gather for an afternoon. Server was not attentive at all. Eggs Benny was good however the Rosti was burnt and did not enjoy it. We decided to do a family brunch at the Victoria restaurant. 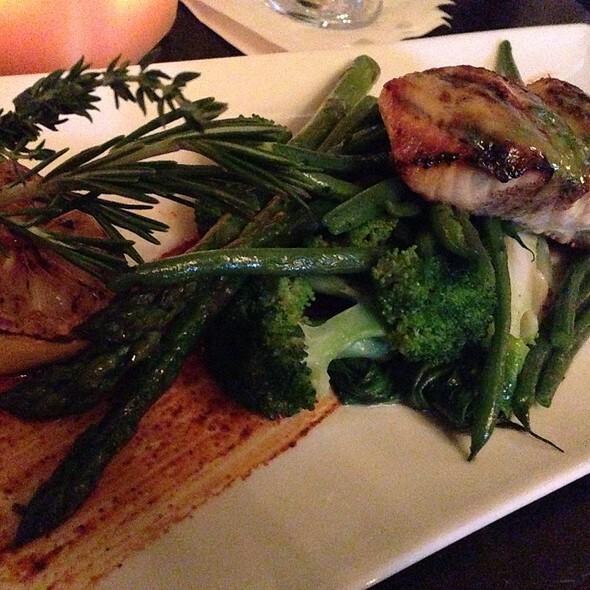 The food was tasty, the service was excellent (the wait staff were great p, they went the extra mile). The only thing that could of been better was to gave more dishes available (seafood maybe). The breakfast side was great.